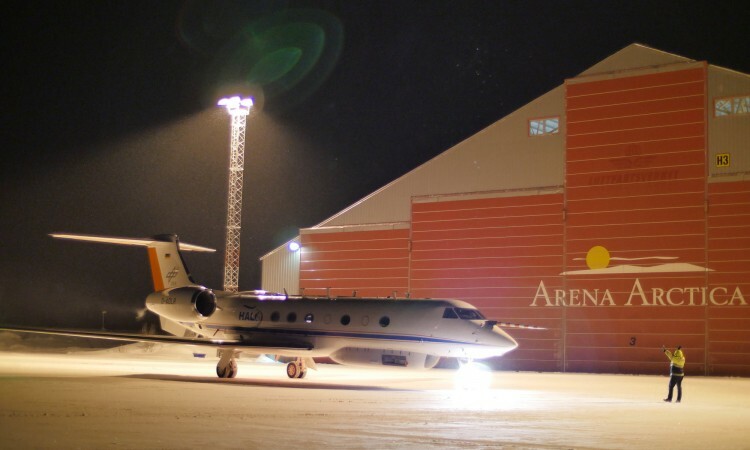 After a successfull 9 hours flight HALO arrived at the Arena Artica in Kiruna yesterday. The flight was quite challenging for the aircraft and all the scientific instruments. Nevertheless lots of scientific interesting data has been accumulated. 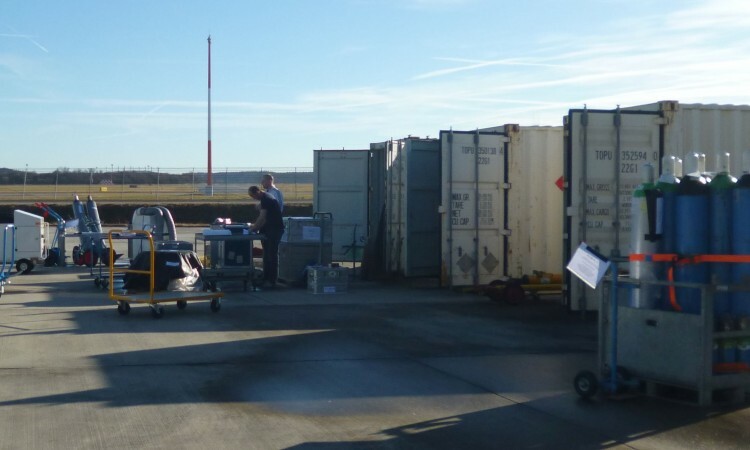 The instruments from the Research Center Jülich operated for the first time during this campaign without any problems. … even the one to Kiruna. Today is the transfer flight of HALO to Kiruna. Due to the meteorological situation this flight goes first to the South over Malta, then back to the very North over the Norwegian Sea and finally to Kiruna. 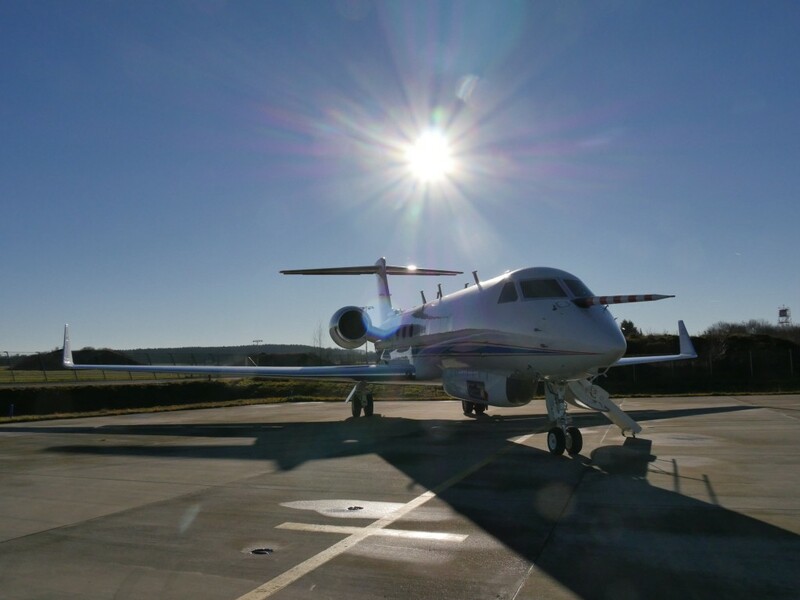 Two scientific flights were successfully performed in the last days. Now HALO will get its deserved Christmas break. Also the teams are in need for some days off. Due to unforeseen problems some of them had to work around the clock for the last two weeks. Everybody is relieved, that most of the instruments could earn valuable data. The GLORIA team from Jülich and Karlsruhe will get some homework to think about during the holidays as the instrument is unfortunately still not performing as expected. Nevertheless, we are confident to solve the problems for the campaign phase in Sweden.